Iran’s Foreign Minister Mohammed Javad Zarif pointedly visited Beirut on Monday, Feb.11, the day of the Islamic revolution’s 40th anniversary, to highlight the length and breadth of its reach – even under US sanctions, threats and Israeli bombardment. Like Moscow, Tehran has shifted its focus to the quest for a foothold in Lebanon to consolidate their success in preserving the next-door Assad regime in Damascus. Both have designated the Shite Hizballah terrorist organization as their main channel of influence in Beirut. Except that Russian Deputy Foreign Minister. who visited Jerusalem last week for talks with Prime Minister Binyamin Netanyahu, insisted on Sunday, Feb. 10, that Hizballah is not a terrorist group, but a positive force for stability in the Middle East. The line Russian spokesmen are now pushing in unison with Tehran is a thorough clean-up of Hizballah’s international image. Hizballah’s leader, Hassan Nasrallah, last week proposed that Iran re-arm the Lebanese army with new weapons including anti-air missiles. Zarif responded that Tehran is ready to assist Lebanon “in every field” – including the military sphere. He spoke in general terms, but DEBKAfile’s military sources report that, behind closed doors, the Iranian foreign minister offered the Lebanese army a set of Iranian Bavar 373 air defense missile systems, which are a close replica of the Russian S-300s deployed around military and nuclear sites across Iran. 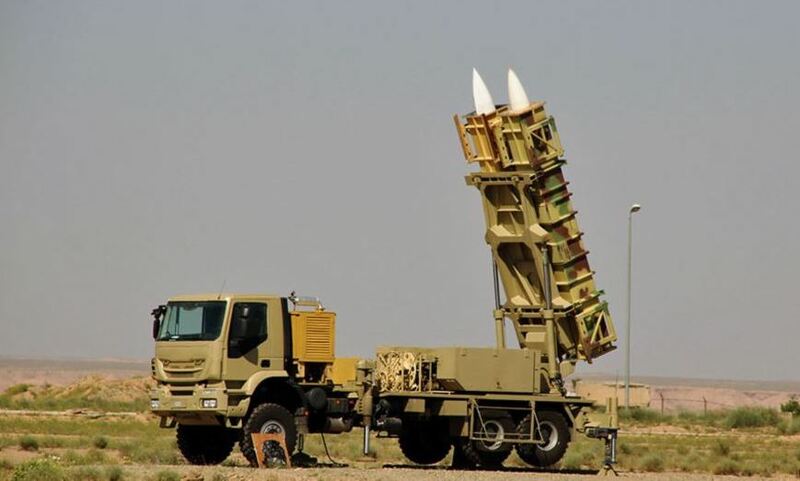 Iran nay decide against sending these missiles to Lebanon, lest they are destroyed by Israel, but the offer in itself is raising raised the military temperature around Lebanon. Quite simply, all the parties concerned are aware that the Lebanese government will decline this offer, because by closing the Iranian door they will open it to the start of Russian weapons supplies to Lebanon and Hizballah. Tehran has no objection to advanced weapons reaching Hizballah from Russia. The Iranians will claim that it is par for the course. Kurdish forces in Syria are armed by the Americans to fight Islamic State terror, and Hizballah is fighting the same foe. The Russians and Iranians are therefore getting their act together for the US military pullout from Syria. Sources in Washington estimated this week that the US withdrawal would be finished by April. Last week, the head of CENTCOM, Gen. Joseph Votel, said that, depending on circumstances, US troops would be out of Syria “in a few weeks.” Their impending departure has boosted Hizballah’s rise to center stage for the next chapter of the Syrian story and its ramifications. This entry was posted on February 11, 2019 at 10:53 AM and is filed under Uncategorized. You can subscribe via RSS 2.0 feed to this post's comments. You can skip to the end and leave a response. Pinging is currently not allowed. You know how much I agree with and appreciate your comments here. I’ll tell you a story. My father was once arguing wit a friend of his, Frank Price ( the founder of Price Club) who was a big leftist and anti-Netanyahu. Things here have no easy ideological solution. We live by our wits. So far, Bibi’s wits have done more to help Israel than any PM before him. That’s why I’m sticking with him until proven mistaken. Dear Jo – only saw your answer now…. To see how evil is progressing….how seemingly evil is getting upper hand…I would prefer to see evil being crushed / confronted without delay. Its difficult for me to let go + trust + wait for the God of Israel who has promised to crush Israels enemies . I must learn to really put myself as well as Israel in the hands of the Guardian of Israel.